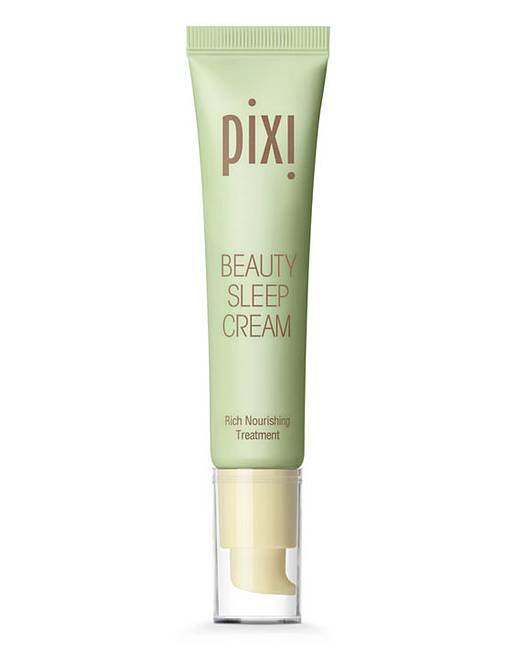 Pixi Skintreats Beauty Sleep Cream is a fast-absorbing, nutrient-rich nighttime essential which helps to protect, nourish, and hydrate skin while you sleep. With 100% natural mango butter, Oils of lavender, lemon and bergamot, the cream calms and balances skintone. Not tested on animals. How to apply: Use in the evening. Apply a thin layer to cleansed, toned skin For best results, layer on top of Overnight Glow Serum.